Early Archaic Period people moved their settlements throughout the year. Diets likely varied depending on the location and the season during which the camp was occupied. 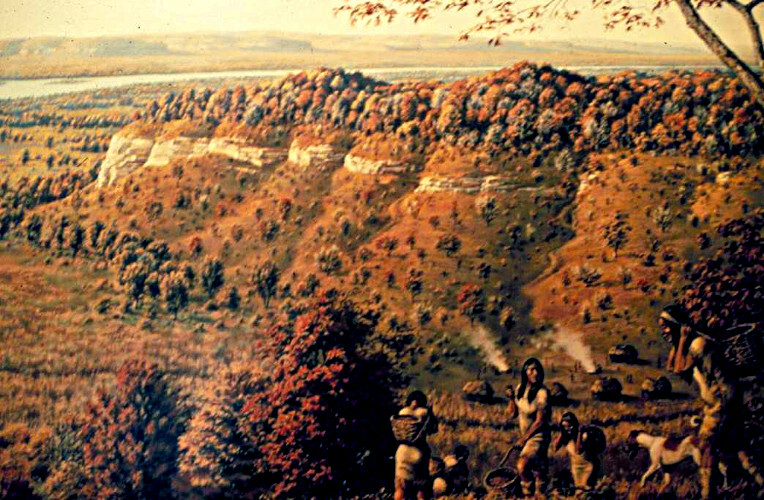 This George Armstrong illustration shows a fall camp in the lower Illinois River valley. The image is used with permission of the Center for American Archeology. The animal and plant remains recovered at Archaic Period sites provide primary information on early diets and health. Resource availability and cultural preferences both influence the kinds of foods that people choose to eat. We are examining how differences in resource availability affect use of animals for food within and among the subregions in our study area. We are also examining differences in food selection that are not related to resource availability. These kinds of differences likely represent differences in cultural traditions and preferences. Common animal foods in the Early Archaic diet in Illinois included deer, squirrel, and fish. The Early Archaic Period people at the Koster site consumed numerous freshwater mussels, which provided important nutrients. However, the Early Archaic people at Modoc Rock Shelter consumed far fewer mussels. Because of their relatively large body size, deer would have provided most of the red meat in Early Archaic Period diets in the Illinois area. The abundance of squirrel bones in Early Archaic Period sites, suggests that they were regularly consumed. A wide variety of animals provided meat, including muskrat, raccoon, turkey, ducks and geese, other birds associated with aquatic habitats, turtles, and freshwater mussels. The mobility of Early Archaic Period groups may have contributed to a diverse diet including a wide variety of animal foods. Consumption of aquatic resources may have been more seasonally restricted. Annual spring floods may have deterred fishing and collection of freshwater mussels in the Illinois River. Early Archaic Period people living in the lower Illinois valley may have consumed more fish and mussels after the spring floods in the late spring, summer, and fall. Because Early Archaic Period groups resided at different camps throughout the year, it is important to know the season when the settlement was occupied. A settlement occupied for only one season will not provide a holistic view of diet throughout the year. 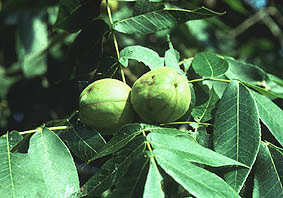 Pecans, a thin-shelled hickory nut (shown to the left) and black walnuts are common at Early Archaic sites and were important to Early Archaic diet. Pecan image taken by Corey Leopold, Flickr. Many wild plant foods were likely consumed but relatively few types of plant remains are preserved. For plants to be preserved they have to have hard parts, such as nutshells and seeds. They generally have to have been carbonized, but not totally consumed by fire. Important Early Archaic plant foods included nuts, and especially black walnuts (Juglans nigra) and pecans (Carya illinoinensis), and acorns (Quercus spp.). 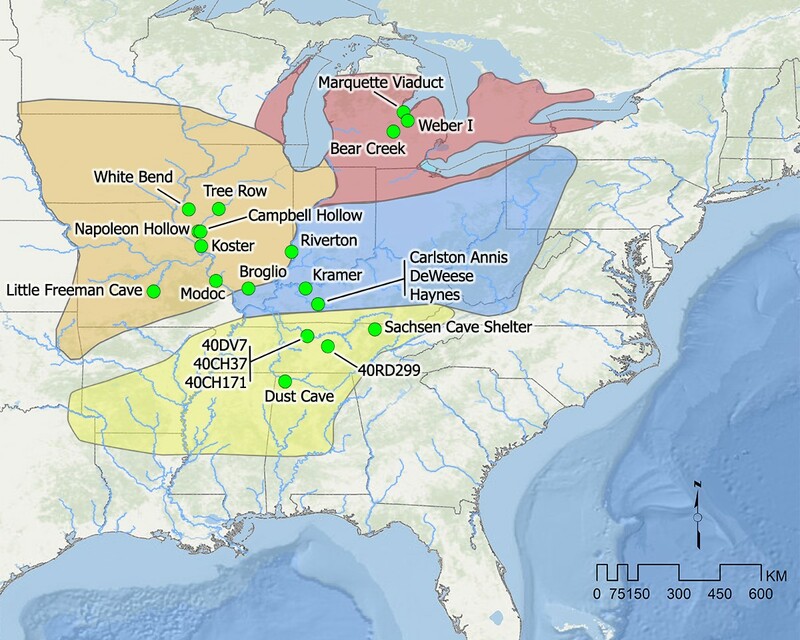 During the Middle Archaic Period, some groups established multi-season base camps. Because resources were brought to these base camps from special purpose camps, they provide a more holistic view of diet. This illustration of a Middle Archaic base camp in the lower Illinois River valley by George Armstrong is used with permission of the Center for American Archeology. During the Middle Archaic Period, consumption of white-tailed deer and fish generally increased at Koster and Modoc, but many other animals continued to contribute to the diet. The opening of the forest and development of the lakes likely led to increases in the abundance of deer and the ease of harvesting fish. These changes in the landscape and the use of base camps with associated special purpose camps may have allowed Middle Archaic hunters and gatherers to increase their use of important resources such as deer and fish. For example, small groups of hunters may have set out from the base camp to establish a special purpose camp for hunting deer. Another small group at another camp may have harvested fish or collected freshwater mussels. The people at these special camps would have consumed deer, fish, and freshwater mussels, but they would have transported some of their catch to the base camp. This type of settlement pattern would have allowed Middle Archaic hunters to collect resources across large areas without moving the whole group. 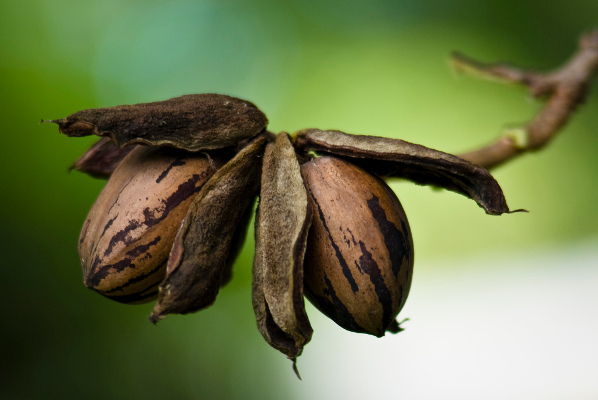 Middle Archaic people made greater use of thick-shelled hickory nuts (image to left) than the thin-shelled pecans. The development of stone boiling may have made it easier to process these thick shell-nuts. Image taken by Bonnie Styles. 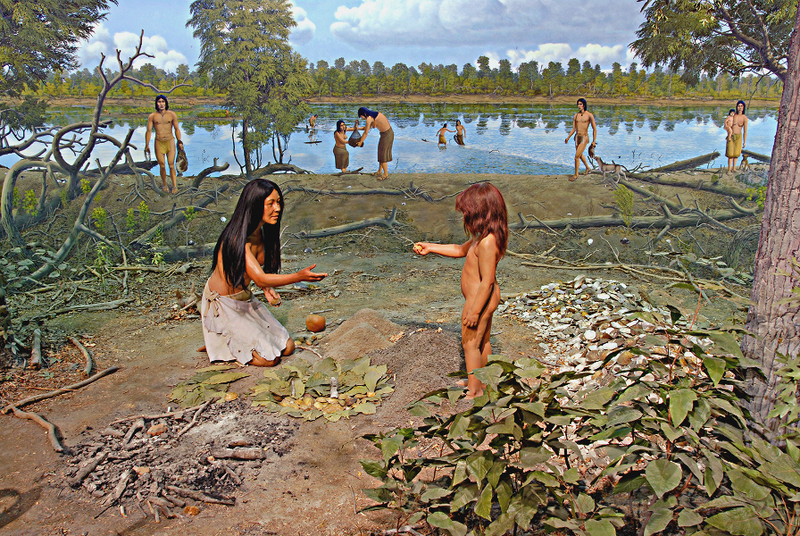 Middle Archaic Period people in the Illinois area consumed nut meats from thick-shelled hickory nuts and acorns. They also ate seeds from some early cultivated and wild plants. Some archaeologists have linked the increased use of thick-shelled hickory nuts to the development of stone boiling. Instead of picking out the nut meats, Middle Archaic peoples may have pounded the whole nuts and thrown the mixture into boiling water in pits with hot stones. The shells would sink and the nut meats could be scooped out. We find pits surrounded by fire-cracked rocks at many Middle Archaic sites. Middle Archaic Period people in Illinois cultivated pepo squash (Cucurbita pepo). They likely consumed the seeds of these squash because the flesh was bitter. Middle Archaic Period people also ate plant foods such as grapes, persimmon, sumac, raspberry or blackberry, and seeds from a variety of weedy plants, as well as wild beans, and tubers. Greens were undoubtedly eaten throughout the Archaic but have not been preserved. Archaic Period diets varied across our broad study area and showed some changes through time as environments and cultural practices changed. The differences in the proportions of key animal species for late Middle Archaic Period sites indicate considerable regional variability in diet (see graphs in previous section). People in the southern half of Illinois at sites such as the Main Shelter at Modoc, Koster, and Napoleon Hollow consumed a lot of fish and deer, and those at Koster also ate a lot of freshwater mussels. The Middle Archaic occupants of Koster consumed more freshwater mussels than did their counterparts at Modoc Rock Shelter. The Middle Archaic occupants of the West Shelter at Modoc consumed more freshwater gastropods than was the case for the Main Shelter at Modoc. Zooarchaeologist Jim Theler suggested that the occupants of the West Shelter at Modoc may have had a taste for escargot. Perhaps the occupants of the Modoc West Shelter had connections to populations along the Cumberland and Tennessee Rivers where gastropod consumption was also high. Zooarchaeologists Walter Klippel and Darcy Morey studied the nutritional value for species of gastropods recovered from the Hayes site along the Tennessee River. They reported that gastropod meat contains important nutrients. Although an individual gastropod does not provide much meat, it is nutritious. The consumption of aquatic gastropods varies greatly across our study area. People at the White Bend site in the northern Prairie Peninsula of Illinois appeared to strongly rely on deer. In our Great Lakes Subarea, the inhabitants of the Bear Creek site in Michigan appeared to focus on aquatic resources other than fish. They ate more semi-aquatic mammals and aquatic turtles than noted for any of our sites. The inhabitants of the Weber 1 site in Michigan seemed to rely primarily on white-tailed deer. In our southern subareas, people living along the Green River in Kentucky (Ohio River Drainage) consumed numerous freshwater mussels, while those living along the Cumberland River in Tennessee relied heavily on freshwater gastropods. At the Dust Cave site in northern Alabama, deer, waterfowl, and suckers were common. In the past, some archaeologists viewed freshwater mussels and aquatic gastropods as foods of last resort that Archaic Period people were driven to use when higher quality resources were not available. However, that view is falling by the wayside. Paul Parmalee and Walter Klippel have analyzed the nutritional value of meat from freshwater mussels. The results are similar to those for aquatic gastropods. Even though an individual mussel provides little meat, the meat provides important nutrients. The meat from freshwater gastropods and freshwater mussels is nutritious. Some groups appeared to consume the meat from these small aquatic animals as part of their traditional cuisine. The Late Archaic Period diorama in the Illinois State Museum's Peoples of the Past exhibition does not depict a base camp. It is based on the Swan Island site in the Wabash valley of Eastern Illinois. This seasonally occupied site only represents part of the Riverton Culture settlement system. In looking at diet or any other aspect of culture, it is important to know the function of the settlement and the seasons when it was occupied. Information from a single camp may only provide a partial record of diet. The focus on deer and fish at Modoc and Koster continued to be high in the Late Archaic. Koster continued to show greater consumption of freshwater mussels. The regional differences in diet across our study area continued. The Late Archaic inhabitants of the White Bend site in the northern Prairie Peninsula of Illinois still focused on deer, but also consumed more semi-aquatic mammals and fish than their predecessors. The Late Archaic occupants of the Tree Row site, in the central Illinois River valley in the northern Prairie Peninsula, had a diet based on deer, fish, and freshwater mussels. In our Great Lakes subarea, the Bear Creek site in Michigan shows a continued focus on deer, semi-aquatic mammals, and aquatic turtles. The Weber I site shows continued reliance on deer but with a much greater consumption of fish and greater consumption of aquatic turtles than in the Middle Archaic. The Late Archaic Period occupants of the Marquette Viaduct site in Michigan showed a strong reliance on deer and fish. For the latter two sites, Dr. Beverley Smith of our research team points out that rising water levels in Lake Huron created extensive wetlands and lower river gradients that would have benefited aquatic resources. They may have also benefitted the Middle Archaic Period people in the area, but most of their sites were submerged when water levels of Lake Huron rose. In our Ohio River Drainage subarea, the occupants of the Late Archaic Riverton site along the Wabash River of Eastern Illinois consumed more freshwater mussels than did the Late Archaic occupants at Modoc Rock Shelter or Koster. Perhaps their cultural traditions show stronger connections with what has been called the “Shell Mound Archaic” of the Ohio River Drainage including the Green River Shell Middens of Kentucky. These are all interesting ideas that we are exploring through our research. Archeobotanist Mary Simon summarized Archaic Period use of plants for the interior Eastern United States. 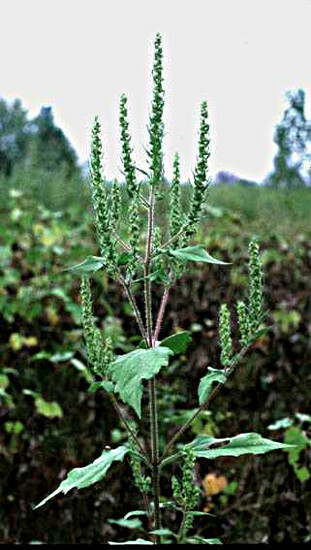 In addition to gourds and pepo squash, by the Late Archaic, American Indians in Illinois cultivated marshelder (Iva annua), sunflower (Helianthus annuus), chenopod (Chenopodium berlandieri), and maygrass (Phalaris caroliniana). Nuts remained important to the diet and thick-shelled hickory nuts often dominate assemblages. Acorns also continued to be important. Late Archaic people consumed a variety of nuts and acorns, as well as fruits, tubers, and likely greens. Seeds from sumac, grape, and persimmon are common at Late Archaic sites. Simon notes that seeds from wetland plants such as wild rice (Zinzania aquatica) and American Lotus (Nelumbo lutea) appear to increase in abundance in Late Archaic sites. Archaeologists recovered wild rice seeds at sites in our study area including Tree Row, Campbell Hollow, and Napoleon Hollow in Illinois and Carlston Annis in Kentucky. The animal food diet of Archaic Period people was rich in protein. As noted above, nuts and acorns provided important plant foods. 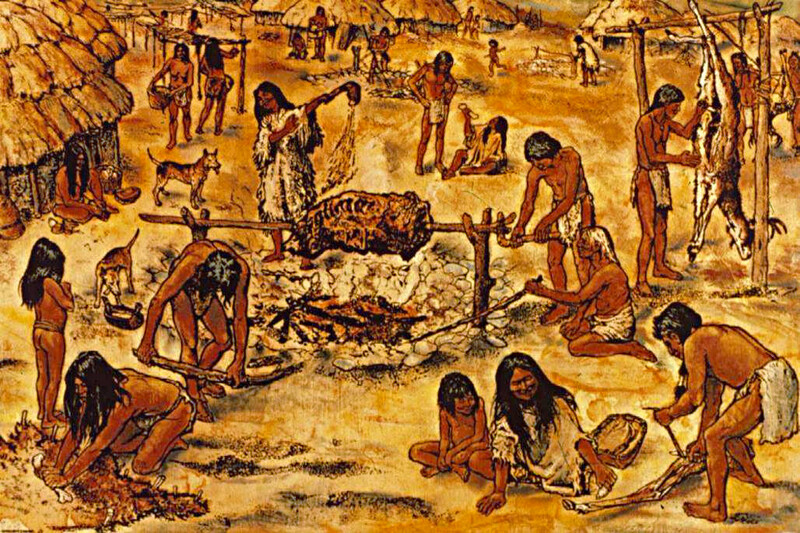 Meats were likely smoked and dried and stored along with nuts and seeds from cultivated plants. However, stores of food were apparently not sufficient to carry Archaic Period people through the winter and early spring lean season when fewer wild foods were available. Studies of human skeletons show that Archaic Period people were generally healthy, but suffered from seasonal food shortages. They had good teeth with far fewer cavities than later prehistoric peoples who consumed too many carbohydrates. 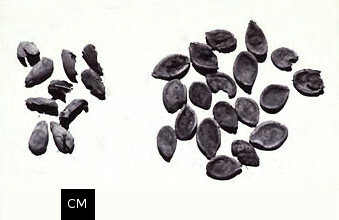 Archaeologists recovered seeds from gourd (left side of first image on far left) and pepo squash (right side of first image) from the Late Archaic Phillips Spring site in west-central Missouri (image taken by Frances B. King). Remains from these domesticated plants are present in some Middle Archaic sites, but are more common in Late Archaic Period sites. Late Archaic people cultivated sunflowers and marshelder (second image from left, taken by David Asch). Other Late Archaic Period cultigens include native chenopod and maygrass (third image from left, provided by David Asch). Archaic Period people introduced maygrass to the Illinois area. 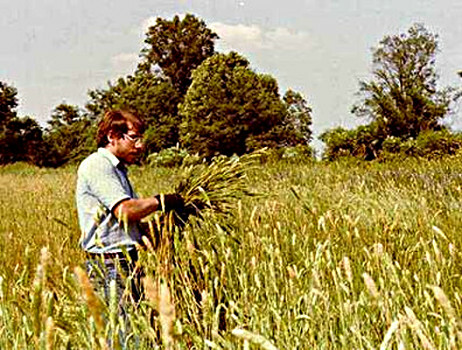 The bundle of maygrass (fourth image from left) is from a dry shelter in the Ozarks of Arkansas. 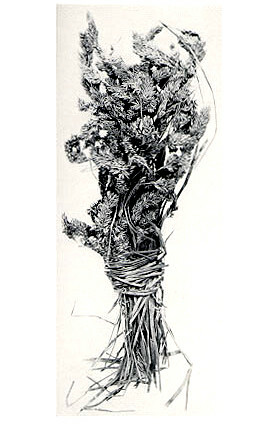 The image was taken from an article by Melvin R. Gilmore: Vegetal Remains of the Ozark Bluff-Dweller Culture, Papers of the Michigan Academy of Science, Arts, and Letters, Vol. XIV, edited by E. S. McCartney and P. Okkelberg, pp. 83-102, University of Michigan Press. This bundle may postdate the Archaic Period, but makes a compelling case for human use of the plant.